Installed systems with alarm, analogue output and logging options, and a temperature range of -40 to 2000°C. 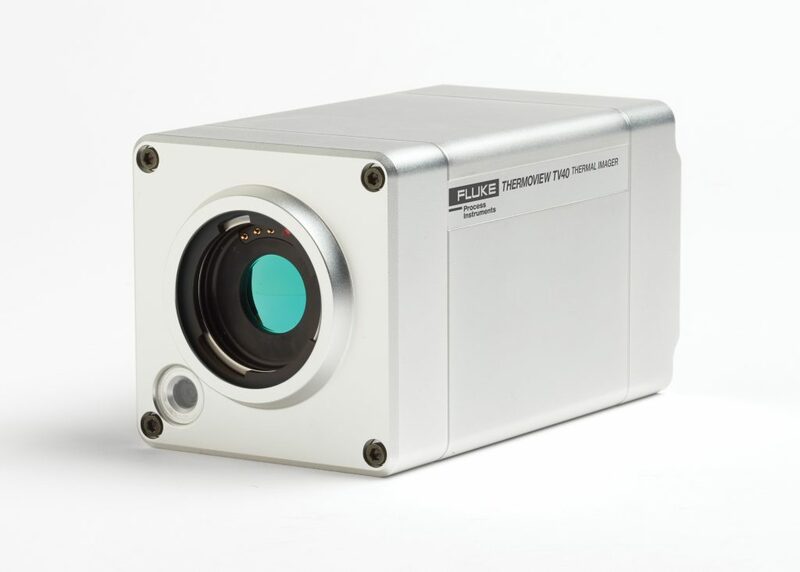 The new ThermoView TV40 range of process control thermal imagers offer enhanced features with IR Fusion (thermal and digital image blending) over the existing Pi20 (see below) including improved software and extra functionality. High performance fixed thermal imager for moving or stationary targets in industrial process control applications. ThermoView Pi20 provides easy networking over long distances, using the standard Ethernet interface. Click here to view more information on the Raytek ThermoView Pi20. Infrared linescanner which provides accurate, real-time thermal imaging for a wide variety of industrial applications, including continuous sheet and web-based processes, discrete manufacturing processes and rotating kilns. Click here to view more information on the Raytek MP150 Linescanner. This accessory is used with Endurance®, Marathon MM, Marathon MR, Modline® 5 and Modline 7 Series sensors. When mounted to the front of the sensor, the accessory allows the user to gather temperature information over a larger area on the target due to the scanning mechanism inside the accessory. Thermal imaging is able to be done with portable units, but also with installed systems which have several benefits. Includes full-featured software for analysis and reporting. Low breakthrough price – from under £2000 to £15000 up. Our prices are the best available and we will consider matching any discount offered. Ti200, 300 and 400 advanced thermal imagers also feature LaserSharp Auto Focus. New Ti100 series has five models that enhance the existing Ti range, all with innovative new features. Full Reporting features – print or email quality thermography reports in minutes. Click here to view PDF brochure of the Ti200,300 & 400 Imagers. Click here to view PDF brochure of the Ti100 Series Industrial Imagers. Click here to view PDF brochure of the TiR100 Series Buildings Imagers. Contact us. Ti100, TiR100 range, Ti200,300 and 400, Ti50/55 – the best price in UK and Ireland. Ready to go straight from the box.